"I have seen your painting in both daylight and nighttime now, and it is utterly gorgeous in both! It was lovely to see you today. R. and I both very much enjoyed your visit. With sincere thanks and appreciation for your amazing talent and beautiful spirit,"
Contemporary research in neuroscience has found that human beings are actually wired to connect to one another on a deep, unspoken level. When we observe someone performing any goal-oriented behavior, our brains respond as though we ourselves were carrying out that action. For instance, when watching a ballet, people in the audience who are sitting still automatically display brain activity which mimics the movements they are watching as though they were dancing themselves. This neural activity is mediated by a system of brain cells called mirror neurons that are distributed throughout the cortex. These cells have been referred to as a 'neural wi-fi' of sorts, and they allow us to empathize with one another as well as learn complex motor skills with greater speed and efficiency. 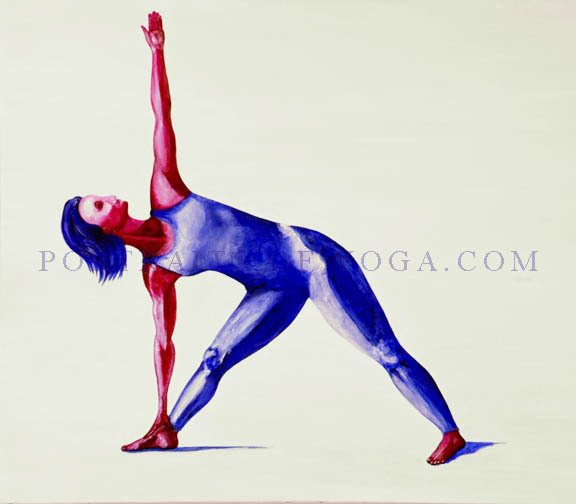 As a result, when looking upon these works of art, viewers are not only witnessing a visual representation of a figure and pose, but are also connecting to the physical reality anchored in the embodied experience of the individual, as well as the emotional and spiritual elements these asanas are intended to convey. 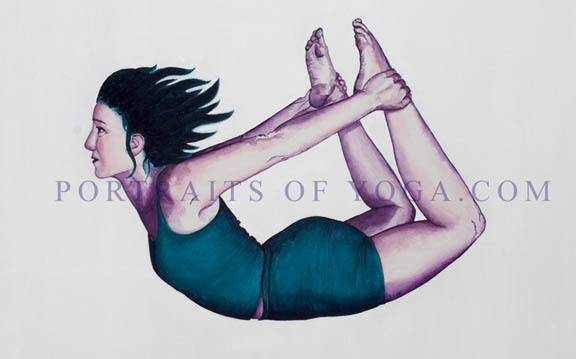 In this way, the portraits of yoga attempt to reach viewers on not simply an aesthetic level, but ultimately to permeate the viewer as an entire living organism, with feeling, consciousness, and soul. All Images under Copyright 2011 PORTRAITS OF YOGA. All rights reserved.